This was such a fun project. Our granddaughter Sofi loves the Frozen movie and Elsa is her favorite character. I can’t wait for her to see the Elsa Frozen gift I created just for her. When I was invited to join the Mason Jar Gift Idea Blog Hop I choose the young girl category so I could put this gift for Sofi. These are the things I purchased for the gift jar. Sofi is always painting someone’s fingernails….okay, usually mine. She loves sparkly things just like her grandma, hence the glitter polish. She also wears lipstick like her mom …..only her “lipstick” is chap stick. The tubes with the star thingy on the top are glow sticks. Every kid I know likes those. I decided on the large mason jar. 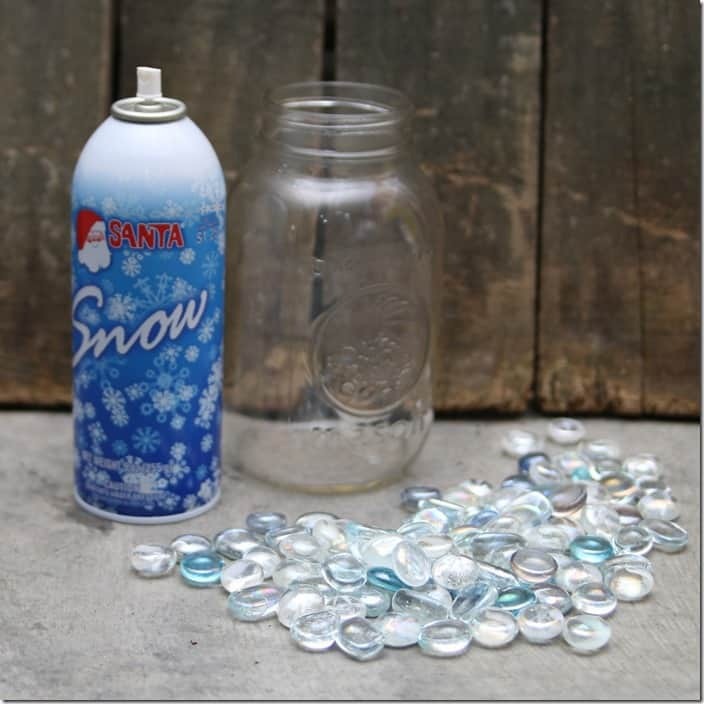 I sprayed it with snow and added the glass beads to the bottom of the jar. Nothing left to do after that but add all the goodies! 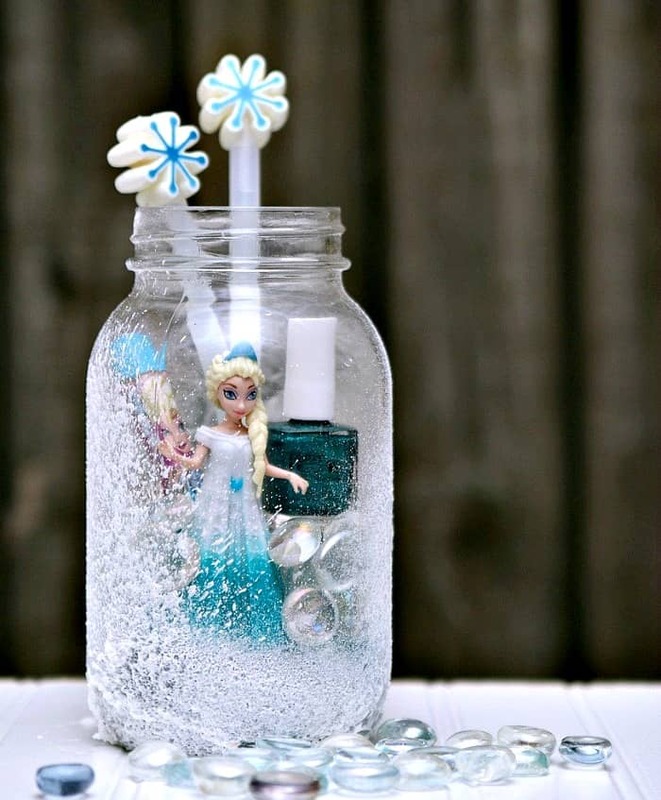 If you would like to make this craft the products I used or similar ones are available on Amazon. 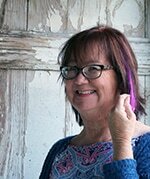 I love the Prime Membership because I get free shipping with most of my purchases. These are affiliate links. 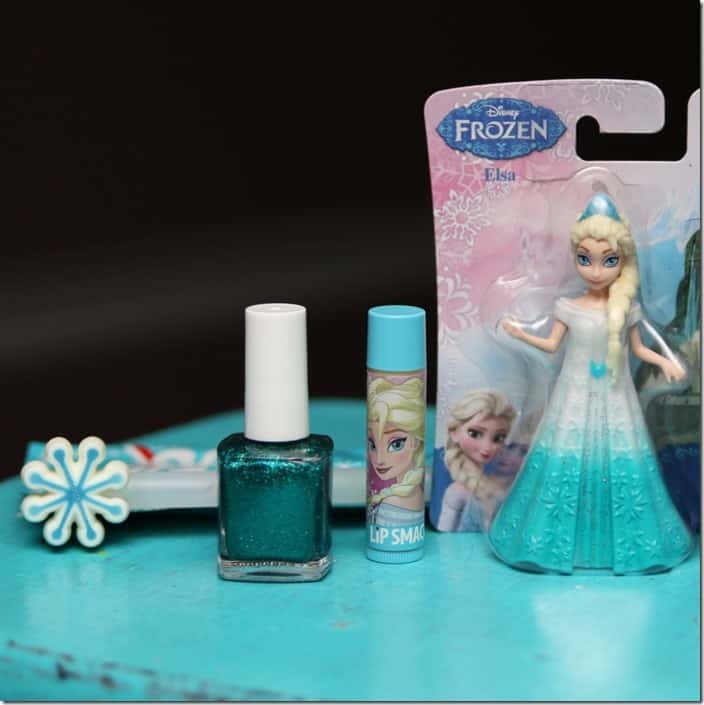 Elsa , Spray Snow , Glass Beads, the glow sticks and the lip smack chap stick were $1.00 each at Walmart. We have a gift card giveaway from Mason Jar Lifestyle. WooHoo! 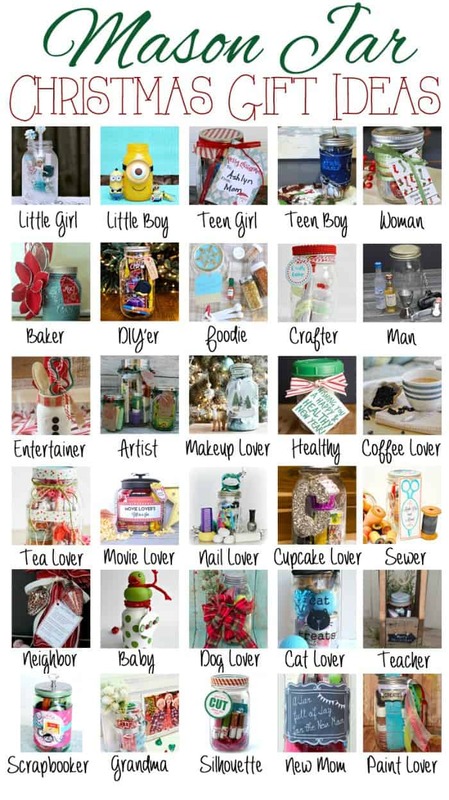 Take the blog hop below for more great gift ideas! To make the tour a little easier we added a linky below so you can click the photo to take the tour. Leave a comment telling me your favorite gift idea from the hop and have a great day! 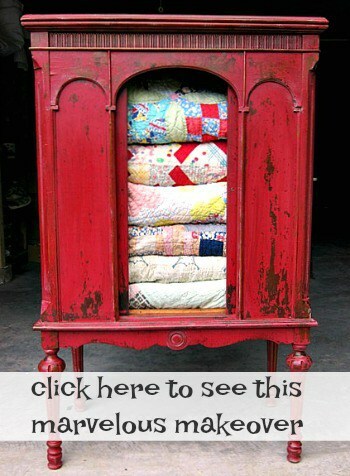 Receive Petticoat Junktion updates in your email. This is amazing! 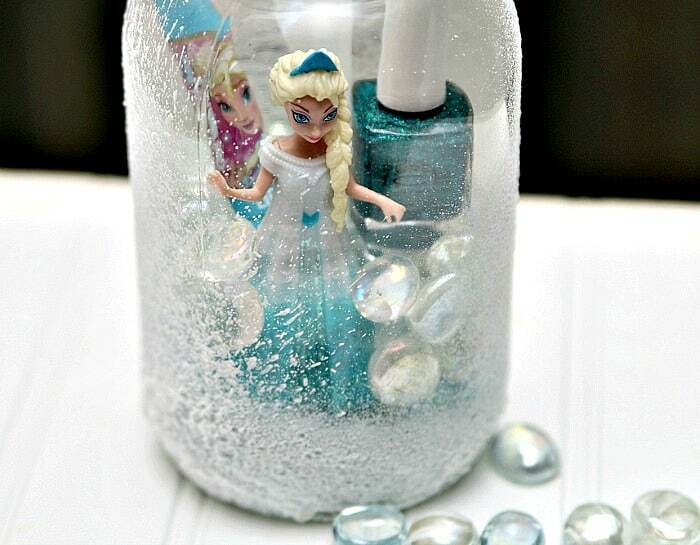 I know my daughter would love a gift like this! Thanks for the inspiration! 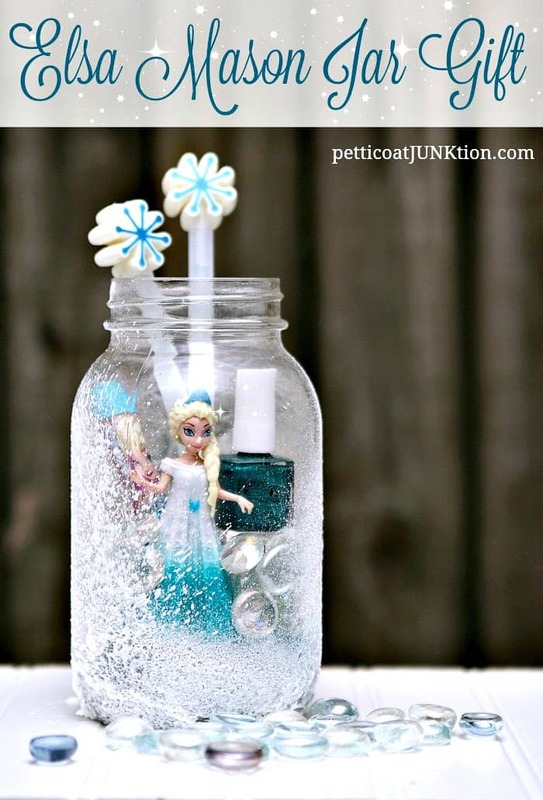 Kathy, your jar is so perfect for a few little girls on my list this year! Well done! Grandma Kathy is so cool! I bet your granddaughter loves this. The faux snow is a perfect touch! Pinned! Super cute, any girl would love to get this! I love the frost! So cute! I know a ton of girls that would love to recieve this!